Yesterday, we reminded you that it might be time to stock up on microSD cards, since we are less than a week away from hearing about this year’s flagships, all of which are expected to support expandable storage. If you held out from yesterday’s deal, you have another chance today at even more storage. The SanDisk 200GB microSD card has dropped to $89.95 for the day, which as far as we can tell, is the lowest price yet. 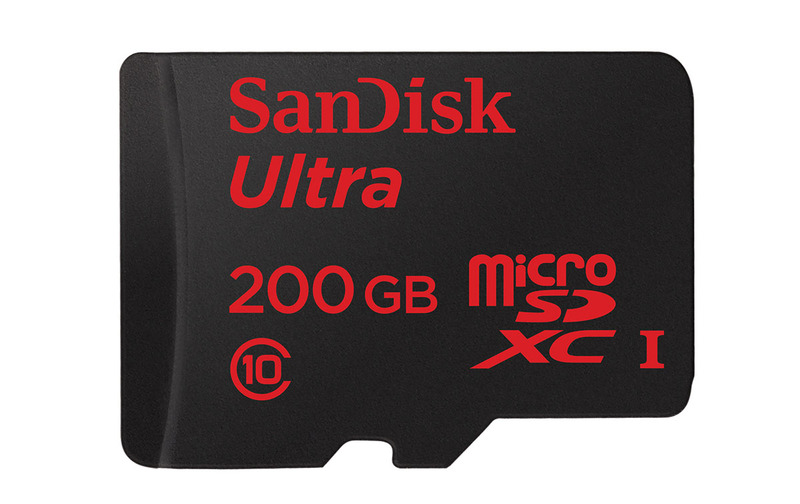 The 200GB card from SanDisk arrived at last year’s MWC with a retail price of around $240. In less than a year, we have seen the price drop regularly to around the $100 mark. But again, $90 is the lowest to date and shouldn’t be slept on if you need this much expandable storage.